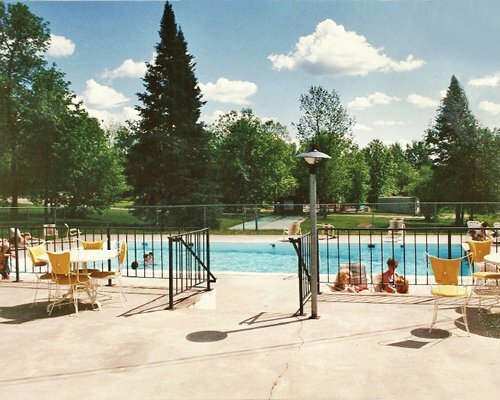 Nestled in the Northwoods, Quadna is a fantastic place to get away and relax any time of the year. 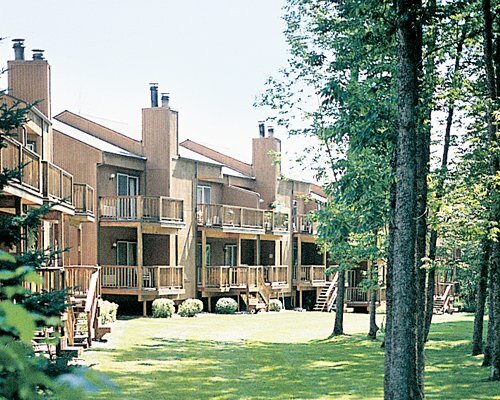 On site they have: Unit fireplaces, tennis courts, walking/biking trail, 9 hole golf course, lake with swimming beach and dock for boats, ATV trails, glorious fall colors, snowmobile trails, sledding, outdoor swimming pools. Experience working Open Pit Mine or Grey Hound birthplace an hour away. 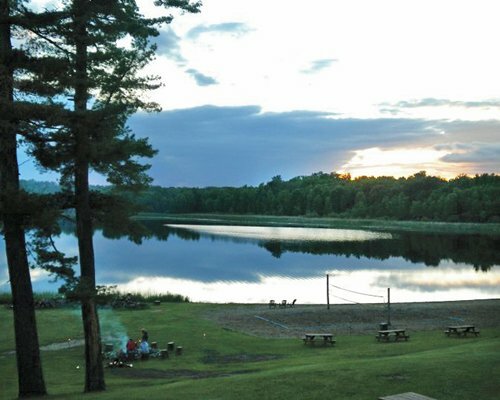 Take part in Recreational Logging Camp and Judy Garland Museum 20 minutes away. Any type of snow skiing/tubing 30 miles away. No Pets. Some units have kitchens and fireplaces. Within 60 miles, visit the Minnesota Museum of Mining, Discovery Center, Hull Rust Mine View, Mt. Istaca Winter Sports Center, Hill Annex State Park, Children's Discovery Museum, Judy Garland Museum and Forest History Center. The nearest commercial airport is in Grand Rapids, 18 miles away. From Minneapolis, go north on U.S. 169 for 150 miles. Quadna Mountain Village is 1.5 miles south of Hill City, MN and 1 mile south of the intersection of US 169 & MN 200.